As technology advances, there has been a trend towards human-free automation and this is affecting many different industries. Surprisingly even the marketing industry is feeling the impact of automation with the rise of programmatic advertising. 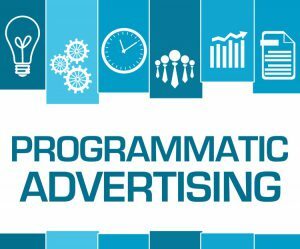 In fact, according to Zenith there has been a rapid growth in recent years with programmatic ad spend skyrocketing from $4bn in 2012- to a whopping £39bn in 2016, with no slowing down in sight. Although there tends be a lot of “jargon” around the idea of programmatic advertising, it’s actually a fairly simple concept. Whereas traditional advertising involves people bidding and negotiating for ad space, programmatic advertising is completely automatic and carried out by computers and software- cutting out the middle man. The software can target specific groups with relevant ads by utilising complex algorithms. The overall buying and selling of digital advertising is completed on a demand-side platform (DSP) which allows users to access multiple data exchange and ad exchange accounts on a single platform. Although it may seem quite complex at first, the overall process of programmatic advertising is relatively simple- thanks in a large part to the use of a DSP. The platform allows you view stats such as key importance indicators, cost per click and cost per action and therefore ad optimisation is much easier and less time consuming. One of the main advantages that programmatic advertising has over traditional methods is efficiency. This is a factor with all types of automation, when you replace people with machines or technology then you are nearly always going to improve efficiency. This is because machines can work much faster, they don’t tire and you are removing human error. Talking more specifically about marketing, the use of the DSP really helps to streamline the entire process of ad buying. It completely cuts out the middle men and any negotiating which would ordinarily take place. Also, when working with a single platform, it allows you to have access to the complete ad inventory which again makes the process much faster, easier and efficient. As DSPs have access to a huge wealth of data, the targeting of ads becomes hyper-personalised. This goes further than just the type of ads which are shown but also factors in things like colour, image, price and call to action. Thanks to the advanced algorithms that are used within programmatic advertising, the personalisation of ads is becoming real-time. This means factors such as specific geographical location, weather and even the time of the week can be used as way of tailoring ads. For example, advertising cold drinks when the weather is hot. The ability to track which website your ads land on can be incredibly important, especially when company reputation is more important than ever before. Fortunately, programmatic advertising offers greater transparency when compared with traditional methods. Buyers have a real-time view of the types of sites in which their ads are placed, as well as other factors such as costing and the types of people that are engaging with the ads. Transparency means that buyers have instant access to all the relevant data concerning their campaigns, which not only safeguards against scandal but also ensures a faster, more efficient and more successful campaign. Programmatic advertising removes the human element and streamlines the entire process, therefore bringing costs down. For example, the ability to purchase media across a wide range of publishers means a reduction in administration costs. Furthermore, buyers don’t have to pre-negotiate a price, they can simply set a budget and pay only for relevant impressions. Some companies are going one step further to reduce costs by setting up an in-house solution. It seems as if programmatic advertising is not only here to stay but could also be a sign of things to come. With this form of advertising makes headway in to the mobile world and talk of a programmatic TV boom, it’s the right time for companies to educate themselves on this new trend. This entry was posted in Observations & Answers, Tips & Resources on December 1, 2017 by Roland.